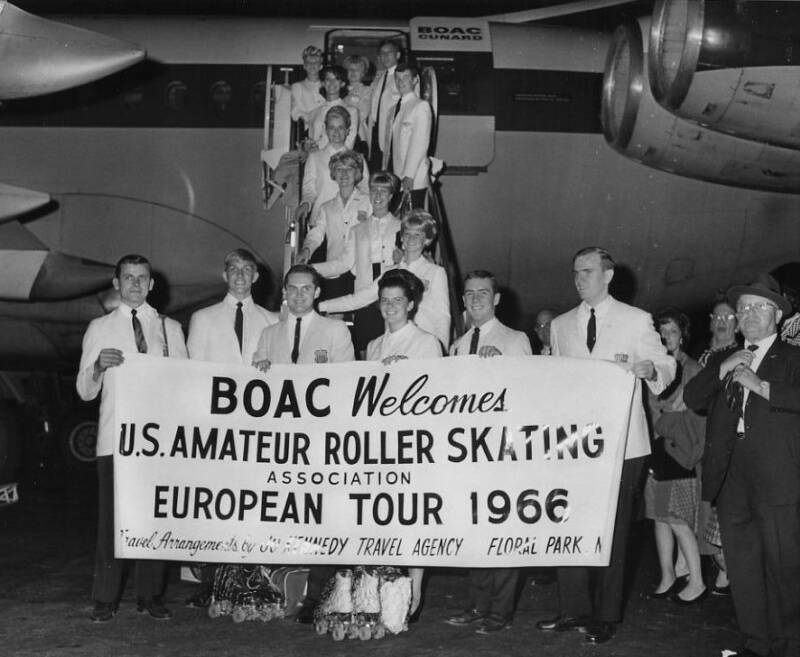 Every competitive skaters’ ultimate ambition is to compete in the World Roller Skating Championships and this ambition has indeed been realized by several AMERICA ON WHEELS skaters who are members of the 1966 United States Team. 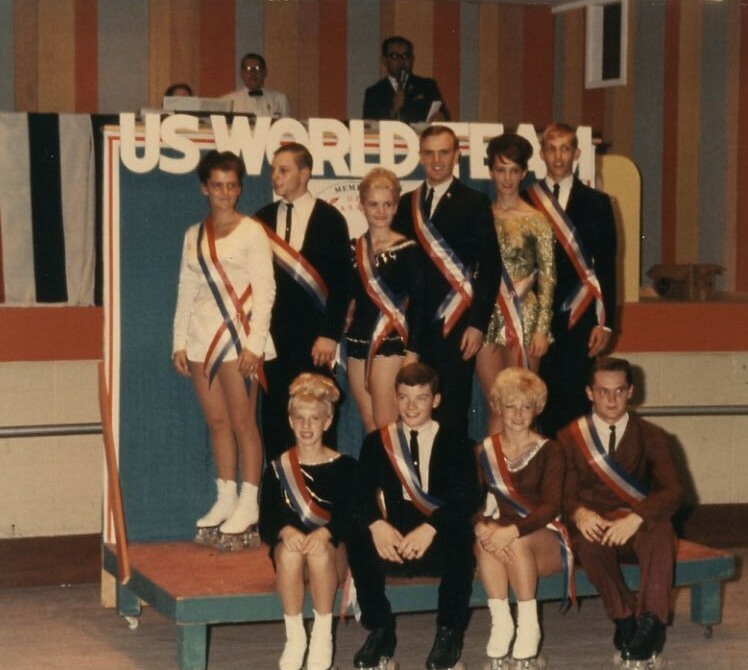 The 1966 World Championships are being conducted in Essen, Germany as this paper goes to press and we are proud the team representing the United States offers a wealth of talent as well as experience and it is our hope that the world titles which have been few and far between for the United States in the past will be earned this year. In the Senior Ladies Figure and Free Style Division was Dorothy Cochrane of Levittown, N.Y.
Senior Men’s Free Style and Figure Skating were: Jackie Courtney and Larry Jo Dorsett, both of Marion, Indiana. Dance Teams were: Charlotte Owings and Robert Shaffer of Chicago, Illinois and Gary Callahan and Sherry Street of Marion, Indiana. 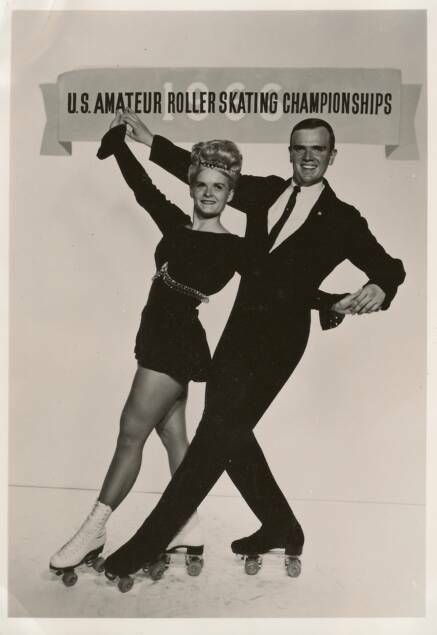 The Mixed Pairs Division boasts a brother and sister team: Ruth and Burt Brinkerhoff who live in New Jersey but represent the Levittown Roller Rink in Levittown, N.Y. In addition to them were Jackie Courtney and Sheryl Trueman of Marion, Indiana. The World Team left from Kennedy Airport on Friday, September 30, 1966. Their first stop was in London and from there they proceeded to Birmingham, England where they were to stay for 2 days during which time they will give exhibitions. From Birmingham they were to proceed to Essen, Germany where the World Championships are being conducted. On their return trip they will spend a day in Holland for further exhibitions before they return to the United States. Highlights of the World Roller Skating Championships will be shown on WABC’s Wide World of Sports program. Watch your TV listing and ask your local rink manager because this will be something you won’t want to miss seeing on television. Reprinted from AOW 1966 monthly paper.